Our programme equips you with the skills needed to build a successful career in wildlife conservation. The unique blend of zoo-based learning and academic teaching delivers vital knowledge and understanding needed to thrive in this competitive arena. Whether you long to take care of big cats in a zoo, or study the habits and conservation of endangered species in the African Savannah, we’ll give you the best chance of success. Nicky Jago worked as a primate keeper at Paignton Zoo during her time on the programme. 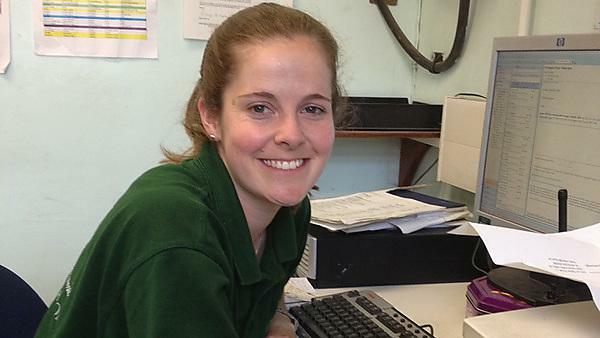 Since graduating, she’s gone on to work as a senior keeper at the Zoological Society of London. Stephen Le Quesne is a wildlife education officer for the National Trust for Jersey. He’s in charge of the education programme that the Trust provides for the island and its community. “The main thing the programme helped me with was giving me a greater understanding of the conservation industry and its realities.” - Stephen Le Quesne, MSc Zoo Conservation Biology postgraduate.